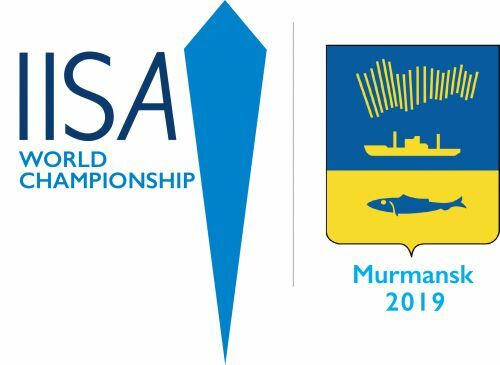 Dmitry Blokhin and Ram Barkai, founder of the International Ice Swimming Association announced the IISA 3rd World Championship and 1st Arctic Cup that will be held in Murmansk's Semenovskoe Lake in Russia between March 14th - 18th. On March 14th, there will be an Acclimatization Swim for the 500m and 1000m swimmers, a press conference, an ICE conference, and a swimmers' briefing. On March 15th, there will be 4 heats of both 8 male and female swimmers competing in the IISA World Championship Ice Kilometer. After the world championship heats, there will be 6 heats of both 8 male and female swimmers competing in the 200m freestyle and 500m freestyle and 4 heats of 8 male and female swimmers competing in the 100m breaststroke and 4x50m country relays in the 1st Ice Swimming Arctic Cup. On March 16th, there will be 7 heats of both 8 male and female swimmers competing in the IISA World Championship Ice Kilometer. Later that evening, the overall winners will be presented in the central square of Murmansk and the age group winners will be honored in the Azimut Hotel. On March 17th, there will be 6 heats of both male and female swimmers competing in the 50m breaststroke, 5 heats of both male and female swimmers competing in the 50m butterfly, and 14 heats of both male and female swimmers competing in the 50m freestyle followed by a gala concert and an awards ceremony and gala reception. Dmitry Blokhin, the Deputy Chairperson of Murmansk City Sports Committee, describes the event in Murmansk, the world's largest city in the Polar Circle, "All the swimmers will stay in Hotel Azimut in the center of Murmansk. We will organize visas, accommodations and meals for the swimmers, their supporters, teams, and relatives. The prices are good: US$1 for lunch and US$1 for dinner and breakfast is included in the US$60-80 per night room charges. For more information on the IISA 3rd World Championships and 1st Arctic Cup, visit here with detailed information here.